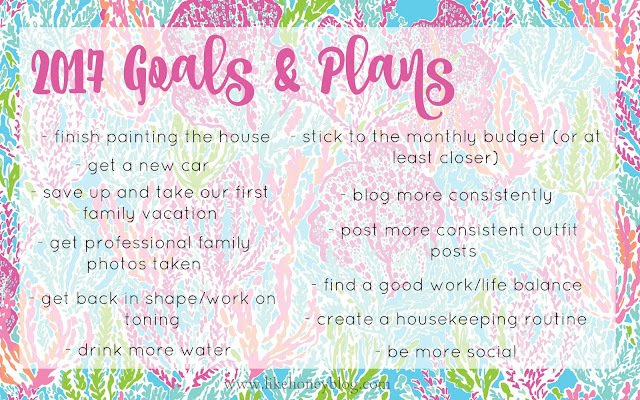 Some of the more "big picture" things on our list this coming year are things like replacing my husband's beater car (with a new SUV or mini van if I'm lucky! ), finish painting the house (and work on decor of course), and get family photos taken. I'd also like to save up the money (by sticking closer to our budget) to take a nice vacation with my little family, maybe to Florida or North Carolina to visit our friends. On a personal level, I'm working on getting back into shape and drinking more water. I know I don't drink nearly enough as I should and I need to get back into my workout regimen that was going well before I had Parker. I also want to work on being more social in person. It's easy to be friendly behind a screen, but I want to set more play date and send more invites to really establish close relationships with friends. 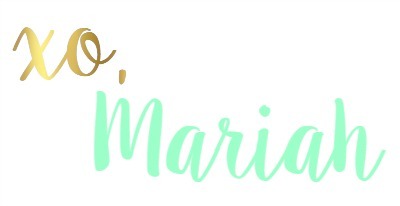 For the blog, I'm hoping to keep my blogging more consistent since having a baby kind of turned things upside down for me. I also want to step up my outfit posting game since that's one of my favorite parts of blogging. I feel like I'm headed in a good direction here on Like Honey and I'm enjoying every second of the blog life. If you have any recommendations or suggestions for things you'd like to see more of here on LHB, let me know in the comments! Like me, this list I'm sure will grow and change as the months pass by. And that's totally okay. 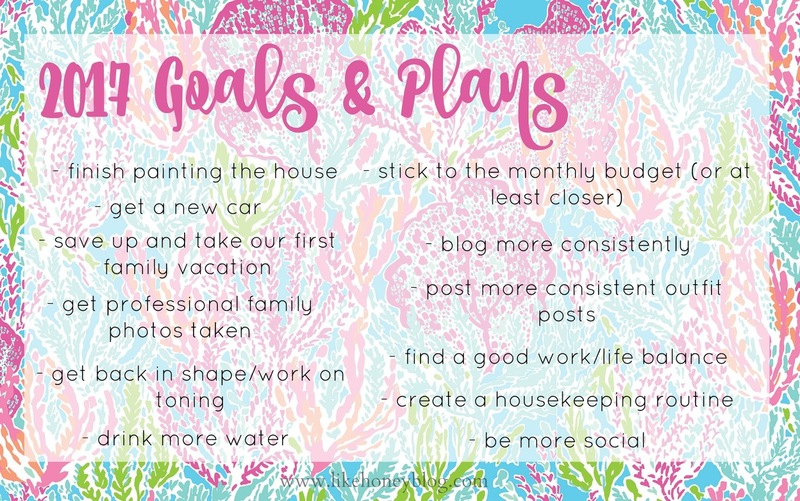 Setting goals can be intimidating, so if you're looking for some tips on making sure your resolutions really stick, check out my blog post below! What are your goals and plans for the new year? What areas are you looking to improve on? Is there anything you'd like to see more of here on Like Honey? Let me know in the comments below!